VINCheckPro Reviews - Is It a Scam or Legit? 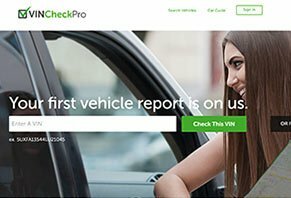 VINCheckPro searches millions of vehicle records in national, state DMV, police, and insurance databases, including accidents, maintenance info, and more. Whether you need to learn about a vehicle’s history, avoid overpaying for a used car, or identify fraud or theft, VINCheckPro promises to deliver comprehensive, detailed reports that can provide peace of mind. Using their simple, intuitive VIN check engine, VINCheckPro claims to search millions of digital records in seconds, including junk, salvage, and loss records; recalls and defects, safety ratings, accident history, odometer reading, environmental score, and much more. Then, this information is displayed in an easy-to-read report, which is why the company claims they’ve checked more than 3,000,000 vehicles to date. Are you an auto dealer? If so, VINCheckPro also offers a dealership program that provides discounts on bulk reports, dedicated support, and exposure to millions of vehicle shoppers. To do this, on VINCheckPro’s home page, you’ll just need to enter the VIN and press the Check This VIN button. To start your VINCheckPro report, start by entering the VIN on the company’s home page. Then, several scrollbars will appear, indicating that VINCheckPro is searching a variety of databases. If their system finds any matches, it will display the vehicle’s make, model, age, engine, country of origin, and other key information. Note: It’s important to mention that VINCheckPro displayed a dire-sounding warning in red letters after processing, claiming, “[VIN] was found in a recall database. Check full report for more information.” However, in order to view this information, you’re required to make a purchase, which we’ll discuss in the Pricing section below. To this extent, keep in mind that just about every vehicle on the road has some kind of recall in place, whether minor or major. So, if you receive a similar message on VINCheckPro.com, don’t let your emotions cause you to make an ill-informed purchase. Instead, check vehicle recalls on reputable sites like Cars.com, which provide detailed information at no charge. What, exactly, do VINCheckPro’s reports contain? Also, it’s important to note that not every state provides the same level of data. 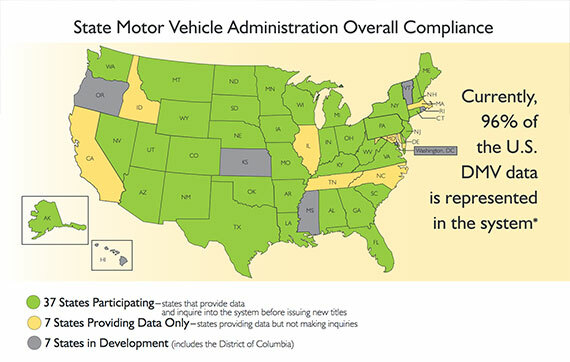 For example, according to VINCheckPro, only 37 states provide vehicle data and allow system inquiries (necessary in order to pull the information included in a report). On the other hand, 7 states feed information to databases but don’t allow inquiries, while 7 more states don’t do either of these. See below to check if your state participates. Depending on which state you live in, you might not be able to obtain vehicle information from VINCheckPro’s database. As mentioned in the intro, we’re told that VINCheckPro’s reports contain information like accident history, junk and salvage records, odometer reading, environmental score, and more. However, we’re not provided with any kind of sample report that you can use to make a more informed purchase. After some digging though, we found a sample VINCheckPro report on the MR2.com forums. It appears the report was from March 2014, so we can’t be certain how accurately this reflects the company’s current reports. How Much Does VINCheckPro Cost? Important note: On the ordering page, VINCheckPro indicates that both of these are one-time fees. However, per their FAQ, “premium fees are recurring and will automatically renew upon expiration at the same price and terms.” In other words, it appears you’ll be charged this price once per month. For clarification, we reached out through VINCheckPro’s contact form (the only way to speak with a representative) and were told that this is a one-time fee, although a monthly subscription option is also available. For the record, this option wasn’t available when we attempted to check out. What about that “first report is free” claim? We weren’t presented with this option until we clicked off the ordering page, so keep this in mind before handing over your credit card details. VINCheckPro Reviews: Are Customers Happy with Their Reports? The only website with any VINCheckPro reviews at the time of our research was eKomi, where the company had 107 individual reviews and a 4.9-star average rating. There, most compliments referenced good report information and ease of use, and that these reports helped avoid a bad purchase. On the other hand, most complaints appeared to reference missing/incomplete information, expensive prices, and confusing billing/subscription options. Like people search (also known as background check) websites, VIN check sites generally have access to the exact same databases, as well as the information they contain. The only real differences come down to how they display this information in their report and how much you pay for it. As the originator, Carfax is the most recognized name in the VIN search industry. Like VINCheckPro, you’ll be able to search for used cars on Carfax’s website, although Carfax can also send you alerts when your vehicle needs service, such as oil changes, tire rotation, registration, and emissions, as well as for safety recalls. However, compared to VINCheckPro, you’ll pay a lot more for a Carfax report, which can range between $39.99 and $54.99. Again, the reality is that you’ll find many of these same services available through competitors, and one of the only meaningful distinction is how much you’ll pay. Speaking of which, Autocheck’s reports cost $24.99-$99.99, while VehicleHistory.com, Edmunds, and DMV.org appear to offer free services. Pro tip: You can search some of the same databases that VINCheckPro (and these other companies) use directly, completely free of charge, including VINCheck from the National Insurance Crime Bureau and the National Motor Vehicle Title Information Systems. Bottom Line: Should You Pay for a VINCheckPro Report? Although there’s no way to know if this same holds true for other services like VINCheckPro, if you’re mainly looking for “minor” accidents, VIN check engines might not be your best option. However, Consumer Reports concluded that these reports are still useful “for what they might tell you,” such as salvaged titles, occasional maintenance records, and so forth. Given this, VINCheckPro is one of the least expensive options out there, so they could help you make a smarter used car-buying decision, for less cash. But considering that you can check many of the same databases yourself, without paying a dime, only you can decide if handing over your money is worth the added convenience. Did you order a VINCheckPro report? Did it meet your expectations? Spell it out for us in your review below! "Thanks for your response. I really wanna see some information that the history report shows, and I don't wanna get it myself cause if it turns out bad it's useless to me, but you can use it either way. I would recommend the one from vincheckhub.com cause I've used them before and I trust them the most. If the report is good I have no problem repaying you for it and I'll come tomorrow with cash, and we can make a deal." We never heard from him again even though we paid for the report, and the report is not up to date, miles were way off, lien info wrong, basically useless report for anyone to use, it has so many not available or found info. Also when you put your VIN number in, it comes up with exclamation marks leading you to believe there are questionable or negative items on the report, which under those titles there was no negative reported. Just a scam. I am very dissatisfied with this. The primary reason I paid for this was to find the current owner and title history. Nothing like this on the report. The report shows "NO RECORDS FOUND" under Sale Records. Customer service does not respond..."not available." I would not recommend this to a friend or an enemy. I am dissatisfied with the result of the check - no information as to the number of vehicle owners, locations, service records. Waste of money. I paid for not only one VIN check but four additional checks. I get an oops error message and no report. That counts as one check from what I can see. Then when I put in another VIN, it tries to charge me again. Total scam. I file a dispute with PayPal and a complaint with the BBB. Warn people to stay away from this site. I ordered a VIN check and got a different VIN number report. Right away I contacted customer service, 13 days later, no answer. Nobody cares after you had paid for a service. The report provides information that can be found for free. Do not provide your credit card information as the website is not protected. I wish a had investigated this service before paying. I will have to submit a dispute on my credit card and request a new one. I used VINCheckPro to buy a car last year. No issues. I went to sell the car this year, and Carmax ran appraisal, showing two accidents and frame damage reported publicly - nothing on the VINCheck report. What a fraud. I signed up ($13.00) to check a VIN and got zero information. When I tried to log in again on multiple computers. I just got a white page that said "Success," and I am unable to check other VINs as advertised. Don't waste your money. Please do not use this company. The sole purpose is to rope you into a monthly membership. The report showed everything in good condition. As the seller of the car, I knew some of the information was not captured accurately. After all, it is not too bad. I ordered this report and it gives you info about reported mileage, title condition, and so on. I needed full history about prior ownership yet it didn't give it to me. I've searched VIN for a brand new car and preliminary search indicated Incident and Problem records exist. I've searched the same VIN through Carfax and Carproof, and zero records were found. Needless to say, I didn't pay for VINCheckPro's 'full' report. Write a Review for VINCheckPro!